In August of 2010, the City of Tucson adopted the Urban Overlay District (UOD) enabling ordinance which allows the City to initiate re-zonings for districts where transit oriented development is desired. The intent is to enable streamlined re-zoning. New UODs will be coming fast and will cover a lot of ground along the warehouse district, the boundaries of the U of A, Grant Road, Broadway Boulevard, 22nd Street, the Modern Street Car route, Fourth Avenue and many other transit designated areas in the near future. The first tentatively adopted UOD is the Main Gate District, currently stalled with a legal challenge by West University Neighborhood Association. As an example of one single UOD, there are 17 parcels that stand to receive added value by the stroke of a pen. There is little going into surrounding neighborhoods but a promise for trickle down benefits. UODs typically border and impact established neighborhoods along selected transit routes. Although U of A neighborhoods managed to curb mis-use of R1 and R2 uses after a decade of illegally permitted student group homes by the City of Tucson, residents continue to feel divestment, stress and disrespect. Campus Acquisitions plans to spend 70 million dollars on two 14 story high rises. Most of the height is added value. If 2/3’s was added value, then 3% would be 1.4 million dollars, but don’t count on it benefiting impacted neighborhoods as the overlay has no link to any kind of neighborhood impact fee structure. That’s a lost opportunity. Neighborhoods need to be asking for the UOD enabling ordinance to be re-written to insure mutuality in benefits to protect neighborhoods. What will turn around divestment of R1 and R2 uses around the U of A and downtown is not solely fussing building heights, but channeling funds into our neighborhoods through UOD neighborhood reinvestment / impact fees that are solely an opt in mechanism. Call them NRIFS if you want. Matching up reinvestment districts with H.U.D. 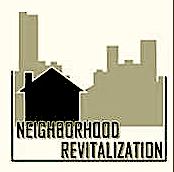 community / neighborhood empowerment programs, Ground Work USA, and possible fee waivers, could be an enormous boom to residential resurgence in these impact districts. R1 and R2 uses around UODs could see a increase in value and demand. U of A neighborhoods, currently under fire have to ask for this while the opportunities are here. Here is an interesting May 27th, Sunday Star article; New developments with top-flight amenities expected to draw students nearer to UA, which neglects to discuss the impact of dense housing development along the edges of U of A neighborhoods many of which will be enabled by UODs.